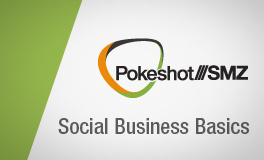 Pokeshot///SMZ’s Social Business Basics Series – Part 1: What is Social Business? This article introduces readers of this blog to the topic of social business and is part one of Pokeshot///SMZ’s ongoing Social Business Basics Series. With these short and concise definitions, Pokeshot///SMZ wants to give clients, prospective clients and partners insights into the depth and breadth of the topic. By social business we mean strategically leveraging Web 2.0 tools and technologies to create a culture of participation and transparent communication and collaboration within companies (employees) and beyond (customers, partners). 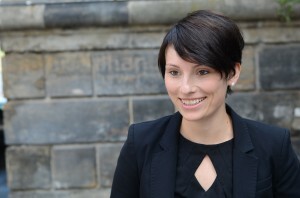 Social business also encompasses topics such as social media, community management, social intranet and social software. What does it mean to use Web 2.0 tools and technologies in companies? It usually begins with the introduction of blogs, wikis and forums, followed by tools for commenting, liking and sharing content and people. The possibilities are virtually endless. But it doesn’t make any sense to randomly roll out one feature after the next; just because you have a motor and four seats doesn’t mean you have a car. To ensure that the different aspects of social business actually work together like a well-tuned automobile, it’s necessary to break a company’s internal and external processes down into so-called use cases.